Provide new and current Rochester Institute of Technology (R.I.T.) students with the resources to help them maintain their health while at school. Students tend to put off preventive care due to not knowing where they should go off-campus for care, or how they will get there — especially when they are new to the area. • Motivate college students to maintain receive regular health check-ups. 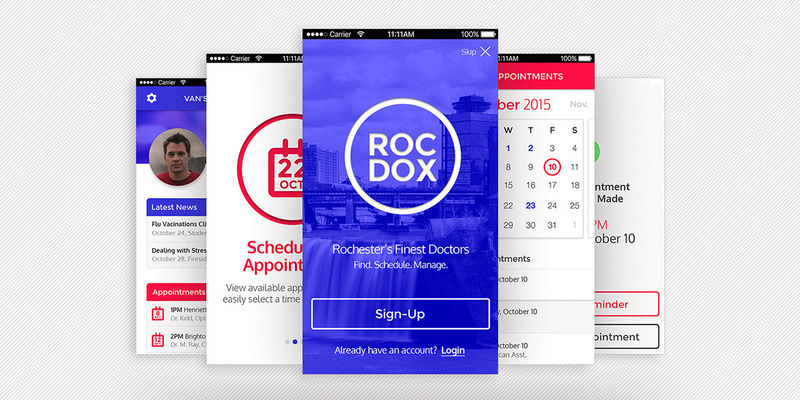 • Create a one-stop hub to manage all appointments and medical information such as: appointments, and insurance. • Allow for fast and easy doctor research.